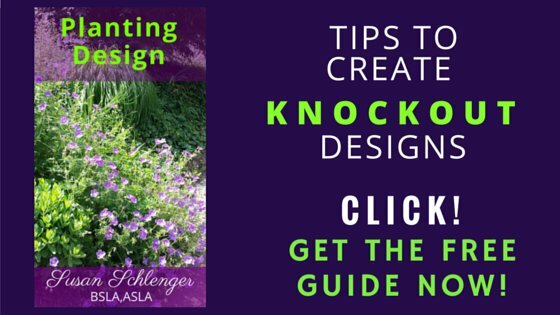 On this page you will find landscaping pictures of many projects I have designed. If you click on the image, you will be taken to a video of the design or additional photos. Once there, you will also find helpful information related to what the photos are about. 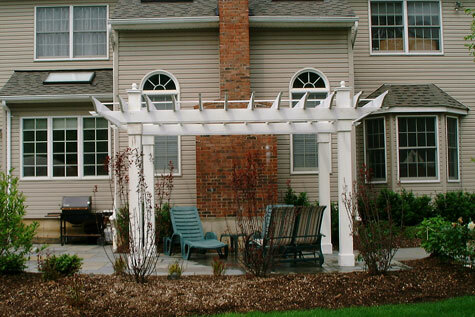 A beautiful bluestone patio, walkway and pergola was designed along the rear of the home. 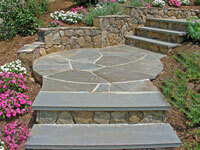 Raised landings, stone walls with planters, and bluestone steps were part of the design. 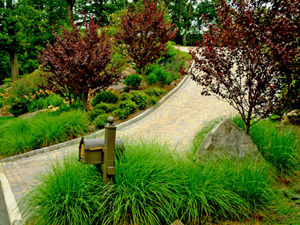 Driveway ideas include a paver driveway and Belgian block curbing. Hundred perennials in the landscape design added great color! Landscape design pictures of the project were turned into a video. 3D landscape design of a two level patio with seatwall and planters. I used Google Sketchup for this project. There is a free version so if it intrigues you, give it a try yourself! This lovely waterfall spillway falls into a pond. There are actually three waterfalls, if you look closely. This is a fast moving 3D animation, which moves around the front property. 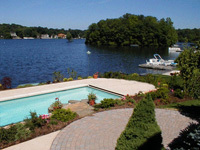 You can see plantings, walkway designs and boulders. A pool design with natural stone paving and a waterfall. The completed project feels as if you are in a lagoon....it is very naturalistic. 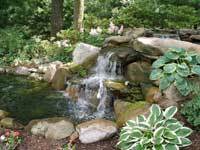 Video was taken from many landscaping pictures, including a beautiful waterfall spillway. A 3D garden design with lots of plants and color. The addition of a meandering front walkway adds to the charm. Front yard landscaping ideas include evergreen shrubs, perennials, trees and a dry laid bluestone walk. A beautiful backyard pool design with a two level deck....and glass railings! A patio fire pit, outdoor kitchen and pergola add to the ambiance. This video is a must see! Here are some lovely driveway entrance gates and piers. The columns are brick and have a lot of detail to them. They are also quite tall. 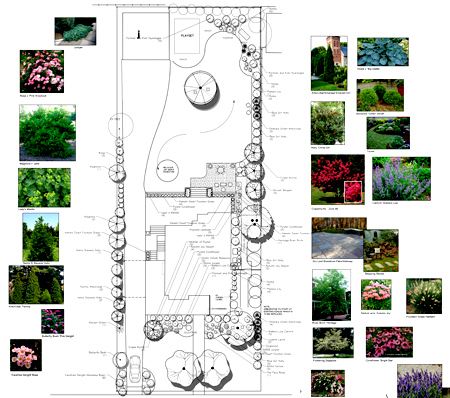 This landscape design is one of my award winning projects... a beautiful landscape design with lots of color around the house and along the driveway. 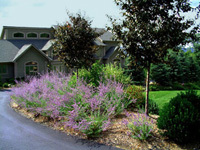 Russian Sage lines the drive along with Flowering Plum Trees. 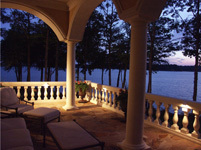 Landscape lighting shown how it can be used in many different ways for a beautiful exterior landscape lighting design. There are quite a few night lighting photos on this page. Concrete pool decking can be done creatively with color and an interesting pattern, resulting in a great design. Take a look at this video to get some ideas. 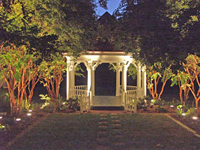 Various landscape lighting ideas shown as a video with music. I think you will enjoy this one! Beautiful pool with infinity edge, waterfall, tanning shelf and travertine pavers. 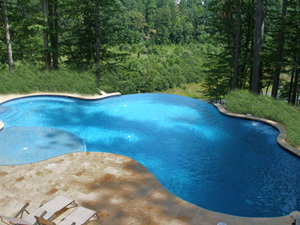 This is one of my favorite swimming pool designs!